Microdermabrasion is a handheld device used by a trained professional, which simultaneously emits crystals (which abrade the skin’s outer layer) and creates a vacuum (to pull and slough dead skin away). This allows us to deliver an inexpensive and non invasive treatment that yields excellent results. “fine lines and wrinkles, uneven skin tone, and dull, lack luster skin. The actual procedure has no downtime, which makes it a great option for a quick lunch time treatment. Some patients may notice a slight redness immediately following their treatment, but this should subside almost instantaneously. 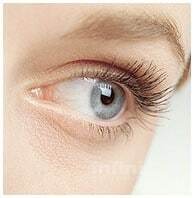 To optimize results, it is strongly recommended that a series of treatments be completed, spaced about 4-6 weeks apart. Microdermabrasion improves thin wrinkles, acne and skin damaged by the sun, providing healthy exfoliation. The procedure takes about 30 minutes and has no downtime. Patients can go back to work immediately. In order to achieve optimal results, normal patients should receive 6 to 9 treatments, every 1 or 2 weeks. After this period, maintenance treatments can be performed every 1½ month.